We collaborated with the 2018 International Symposium On Usher Syndrome in Mainz, Germany. 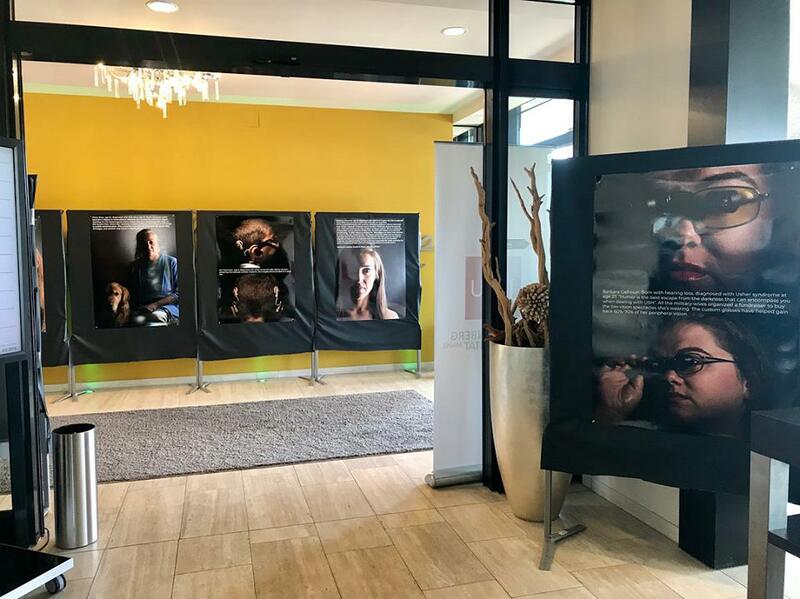 Our pop-up “Shine A Light On Usher Syndrome” photojournalism exhibit greeted Doctors and Researchers as they entered the event. We also worked with photographer Genevieve deManio who added her own artistic perspective to our gallery of portraits featuring individuals living with Usher syndrome. Her portraits will soon join those of photojournalist, Evan McGlinn.